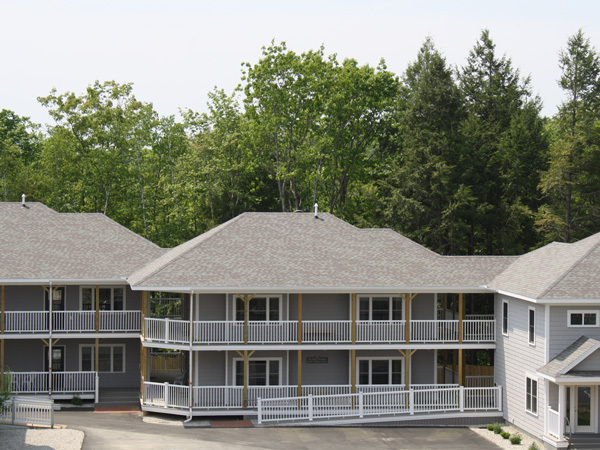 We've completed three 7000+Sq.ft., two-story buildings with much-needed walk-out full basement storage for Camp Sunhine in Casco, Maine. Ten units of housing were for the volunteers who gift their time to a worthy cause. There are three different model units with exterior covered walkways, stairs, and porches that connect to each other. This project also included a volunteer game/multi-purpose room for volunteers to be able to have a space to come together to relax.